You are at:Home»Awards»Postal and Parcel Technology International Awards 2018 winners announced! Postal and Parcel Technology International Awards 2018 winners announced! 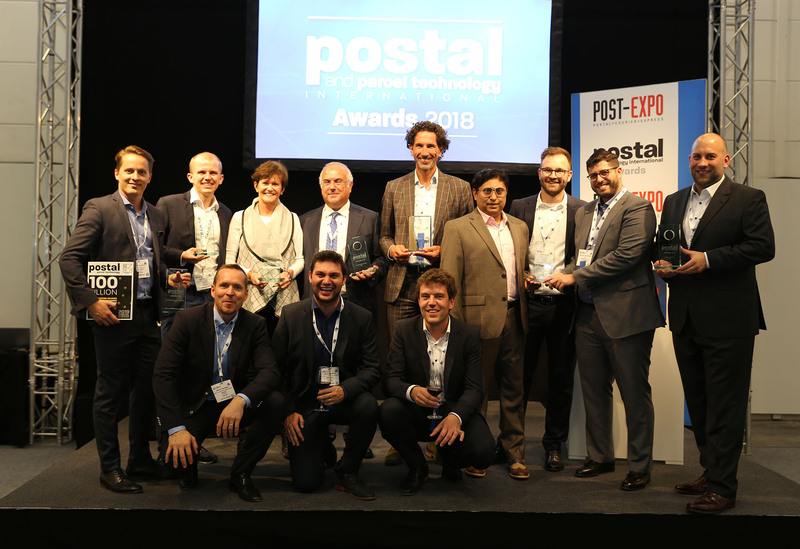 The winners of this year’s Postal and Parcel Technology International Awards have been announced during an awards ceremony at POST-EXPO in Hamburg, Germany. The ceremony, held on October 10, revealed who triumphed in each of the seven award categories. Elsewhere, in the Delivery Innovation of the Year category Swiss Post triumphed with its drones in action for public health program, which sees drones transport medical goods between two hospitals in southern Switzerland. The drones have helped reduce transportation costs by 80%. In the New Business Diversification of the Year category, Posti and Vaisala’s Street Data Service took the top spot. The service creates situational pictures of the road network and environment in Finland in connection with the mail delivery network. The aim of the program is to collect data on road conditions and weather to improve the efficiency of mail deliveries and to support smart traffic development projects in Finland. In the Sorting Center of the Year category, Swiss Post and UnmannedLife triumphed. The two organizations teamed up in early 2018 to test a new autonomous sorting solution in a real-life environment. The solution uses AI software to perform sortation by utilizing fleets of autonomous mobile robots. The awards also saw OneView and Australia Post win in the Digital Innovation of the Year category thanks to the development of a new digital store platform. The platform offers a complete omni channel solution across Australia Post’s different customer touchpoints. And finally, in the Environmental Achievement of the Year category Deutsche Post DHL Group triumphed thanks to its TRAILAR solar transportation solution. The solution consists of a thin film solar mat fitted to vehicle roofs and connected to the vehicle’s battery or additional onboard batteries. 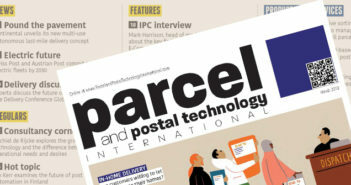 For full coverage of this year’s Postal and Parcel Technology International Awards, click here. If you are interested in taking part in the 2019 awards program then please get in touch with awards coordinator, Helen Norman: helen.norman@ukimediaevents.com, +44 1306 743744.